It's not clear if these changes will be part of a new standard (like Bluetooth 4.2 and beyond) or if there will be improvements applicable to older specs as well. 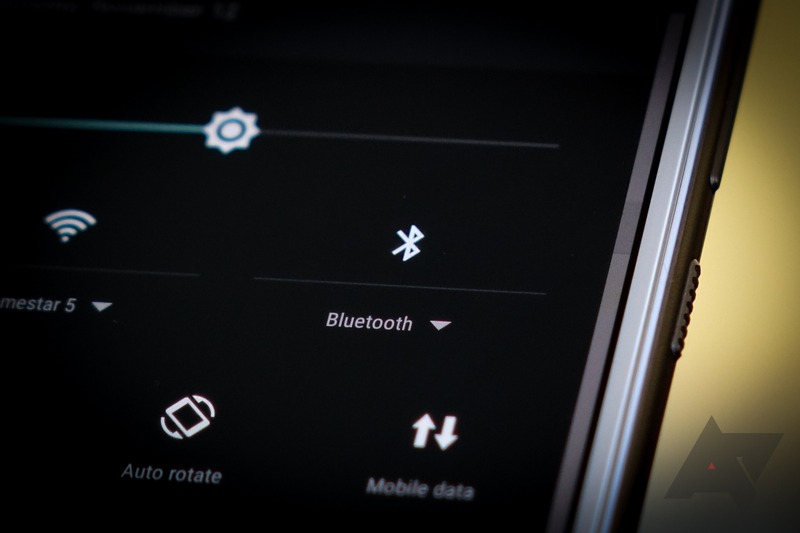 In addition, we don't know if any of these improvements would require changes to the Bluetooth hardware itself, or whether both host and device must support the spec to see any kind of benefit. It's not even clear when we'll be able to expect devices with the improvements. Basically, everything is really, really unclear except that the Bluetooth Special Interest Group would like you to know Bluetooth is going to get better in some indefinite period of time, maybe next year, whatever. The specifics are also pretty general at this point. Bluetooth Smart - a low-power standard - will increase its range by a factor of four, and the speed of Bluetooth (and/or Bluetooth Smart? It's really not clear) is also set to double. I don't actually think they mean transfer speed (which, frankly, has never been BT's strong point), as in the same sentence you see "increasing responsiveness and lowering latency," which sounds more like an effort to make end-to-end interaction faster. So, this new Bluetooth spec may result in an effective 2x decrease in communications latency in some circumstances. Which, hey: good news. Finally, there's something about mesh networks, which Bluetooth will get, and that's pretty much the extent to which they discuss it. As to when you can expect to see these improvements? Probably at some point in the next year or two. BTSIG doesn't lay out any timing specifics other than to say these improvements are on the roadmap for 2016, and I expect we'll probably hear more about the upcoming changes at or around CES. So, until then, if you read the press release below, you'll know as much about it as we do at this point (read: not a lot). KIRKLAND, Wash.--(BUSINESS WIRE)--Today the Bluetooth Special Interest Group (SIG) is previewing highlights from its 2016 technology roadmap. Planned enhancements for the technology are focused squarely on increasing its Internet of Things (IoT) functionality. Key updates include longer range, higher speeds and mesh networking. The host of Bluetooth advancements coming in 2016 will further energize fast-growing industries such as smart home, industrial automation, location-based services and smart infrastructure. Announced updates will provide a variety of benefits for the growing number of IoT applications. For example, the range of Bluetooth Smart, set to increase up to 4x, will transform smart home and infrastructure applications, and will deliver an extended, more robust connection for full-home or outdoor use cases. A 100% increase in speed, without increasing energy consumption, will enable faster data transfers in critical applications, such as medical devices, increasing responsiveness and lowering latency. And mesh networking will enable Bluetooth devices to connect together in networks that can cover an entire building or home, opening up home and industrial automation applications.